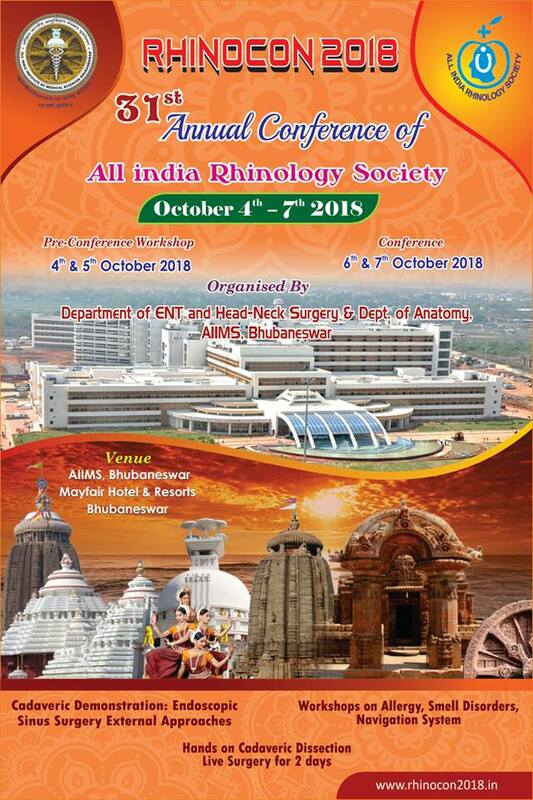 Time to block your dates and plan your travel...The most awaited academic program for Rhinologists of India is here...The Department of ENT, AIIMS, Bhubaneswar takes pride in inviting you all to the 31st Annual meeting of Rhinology Society of India, RHINOCON-2018 at Bhubaneswar, Odisha, India from October 4th-7th 2018. The theme for this years meeting is "Basics to Advance". A step by step learning module is planned from basics to advanced rhinology care. Conference with emphasis on Cross fire, video sessions, How i do it sessions, Tricks & Tips...A complete package of learning from OPD to Operation theatre. The city of Bhubaneswar, surrounded by numerous tourist attractions like Puri Temple, Konary temple & beach, Chilika lake, Mangalajodi for bird watching etc. provide you the perfect place to enjoy academics & a holiday with your family. 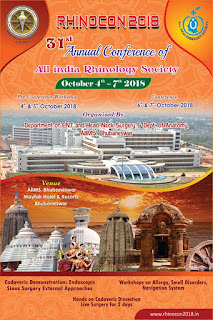 Team RHINOCON 2018 & All India Rhinology society hope to host you in the city of Temples, Bhubaneswar.